We have a couple of large trees in our front yard that produce a lot of leaves in the fall. 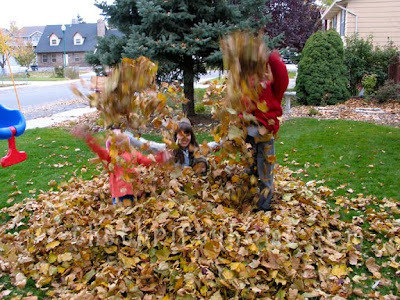 Most people complain about having to rake their leaves, but we watch and wait for ours to fall in anticipation. 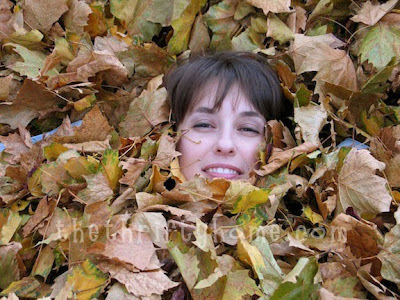 We spend a day as a family Raking Leaves, jumping into piles, making a leaf maze and leaf tunnels. One of my favorite traditions that we started a couple of years ago is going to Cornbelly's at Thanksgiving Point in Utah. I LOVE riding my bike in the canyon. This is a park that we like to ride our bikes to as a family. I love seeing the leaves change color! For Thanksgiving my kids love helping me make these turkeys to bring to grandma and grandpa's house. Last year I thought they had forgotten and I wouldn't have to make them, but they reminded me the day before. Every Thanksgiving since I was a kid, we have always had a talent show. Now my kids look forward to grandma and grandpa's talent show every year. Last year we had artwork, dances, piano solos, and recited poems. Come and join the Traditions party over at Emma Calls me Mamma. 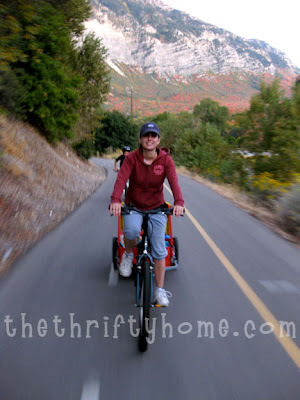 Hello Jen - what a great post! Love all your fun photos. And those CUTE turkey cookie/candy treats are my fave. I think your Oreo turkeys must be a hit! So cute! 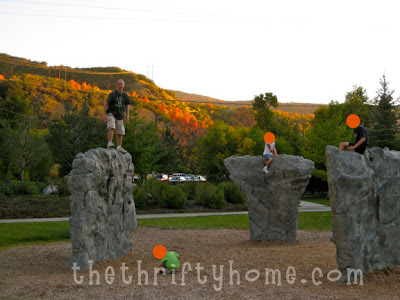 It is so much fun doing outdoor things with the family before the winter sets in! love your blog! Great traditions. I miss the Utah mountains in fall. We don't get that here in SoCal. Love this! That little turkey is adorable! What wonderful photos you have shared; thank you. Have a wonderful weekend. I came across those turkeys in a cookbook a few years ago before I had my son. I couldn't wait to have a child so I could make them with him. Great post! Your photo's are beautiful! Did you or somebody in your family carved those awesome pumpkins? They are just gorgeous. 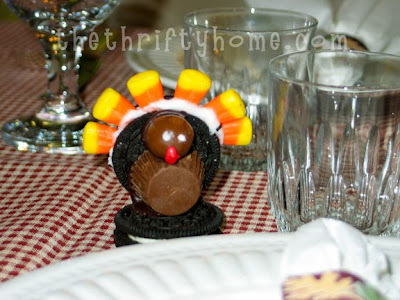 The Oreo cookie turkey, what a hoot.